Bangalore, July 17, 2018: The students of Trio World School brought laurels to the school by winning 6 medals (2 silver, 4 bronze) in the inter school swimming competition held at Argon Sports in association with NR Sports Academy, Bangalore in the junior category under 12. Shelyn, Antara and Shivani a student of grade 7, 5 and 4 participated under 12 category and won 4 medals. 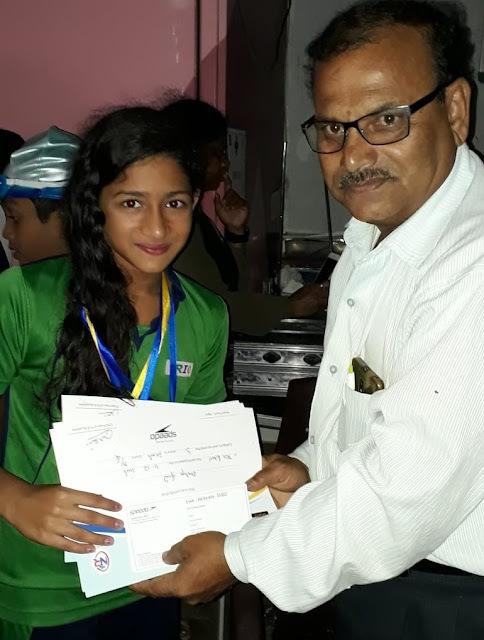 Shelyn was awarded sliver for breaststroke and butterfly , bronze for freestyle and backstroke, whereas Antara and Shivani received bronze for breast stroke and freestyle. Overall 25 schools with 450 kids have participated in the event.